When you call Trident Plumbing and Drain Cleaning to come out to your property to perform sewer video inspection service in Mountlake Terrace, we can get to the heart of the problems for your sewer issues. No matter what is going on inside your lines, we have the ability to get a clear picture and even record it for future reference. Once we arrive at your property, we can set up our video camera technology. 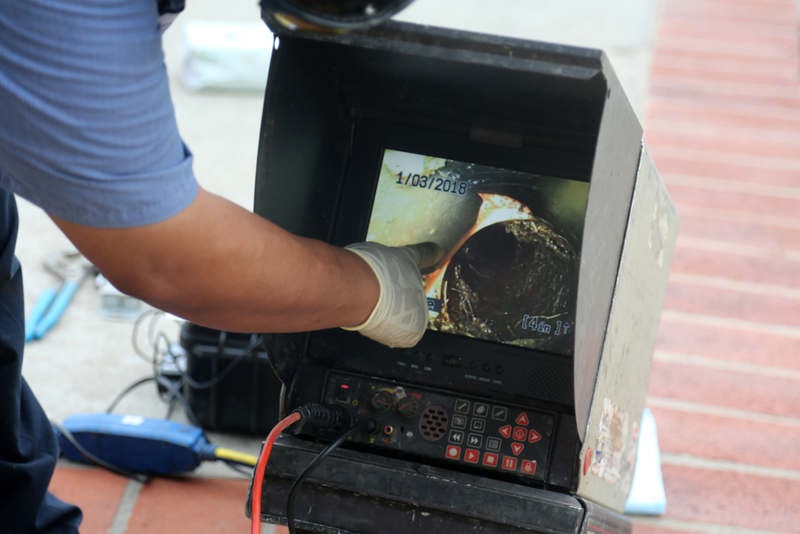 This is a high-tech camera that is affixed to a long, flexible rod that helps us to get down inside the sewer lines so that we can transmit the findings in real time on a screen above ground. The inspection will help us to tell what type of a blockage you have and the exact location so that we can get started on a remedy as soon as possible. From time to time. a blockage can start in your lines and the debris will keep building up until there is either a major break in the line or you are dealing with some sort of backup into your home. Either way, this is a situation that needs to be addressed quickly so that you are not dealing with hazardous sewage inside your home or seeping throughout the landscaping around your home. Once you hire us at Trident Plumbing and Drain Cleaning for your sewer line inspection, we can come up with a remedy that will help clear out the obstruction or repair the damage that is present. We use the latest methods and all of our technicians are highly trained and motivated to provide you with the professional services that you deserve. If you are interested in sewer video inspection service in Mountlake Terrace, contact us today at Trident Plumbing and Drain Cleaning. Call (425) 321-6043!